There’s some yachting infrastructure I’ve promised to develop and jobs to create. All well and good having an office, but noone is going to be paid a salary if I leave it at that. 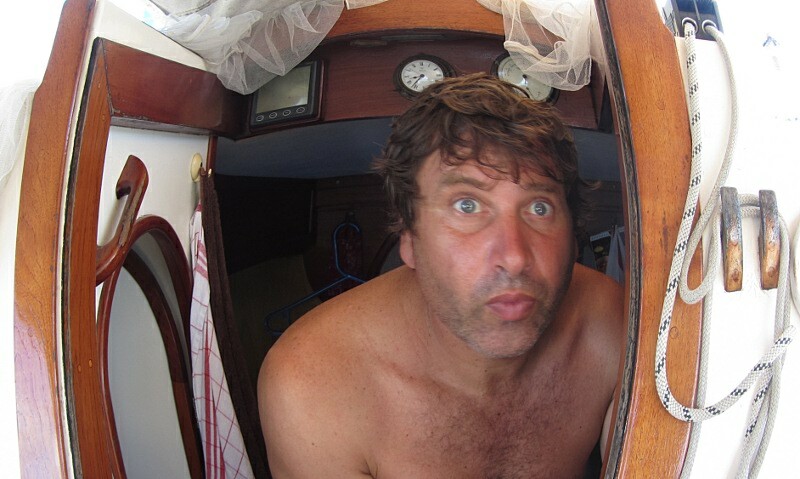 Just for the record… no… I don’t pay myself a salary… but I do get a free mooring!!! I obviously work them too hard. And so, with an office fully staffed it was time to play “lay the mooring”… Not quite as easy (or as fun) as it sounds. 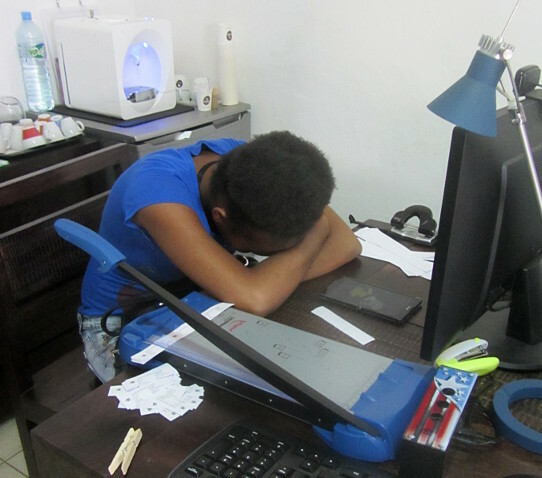 The first workers I’d hired for the job simply gave up (“It’s all too hard”) after day one. 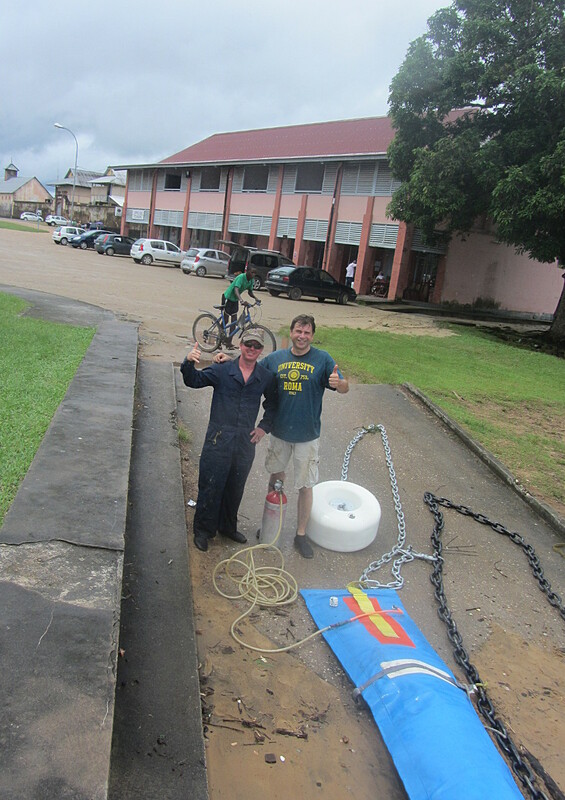 As luck would have it, an American salvage diver visiting Saint Laurent by yacht (meet Travis), volunteered to help get the job done and in no time at all, voila! Meet the dynamic duo… No-one else offered to help! Two moorings a day positioned with a 5HP dinghy! All the moorings were floated into position and then sunk. What’s-up in Saint Laurent du Maroni? Plenty! In fact it has been so busy of late I’ve not had the time to update this never ending blog. But all that is about to change, and to whet your appetite have a wander over to this site and see what’s happening yourself. 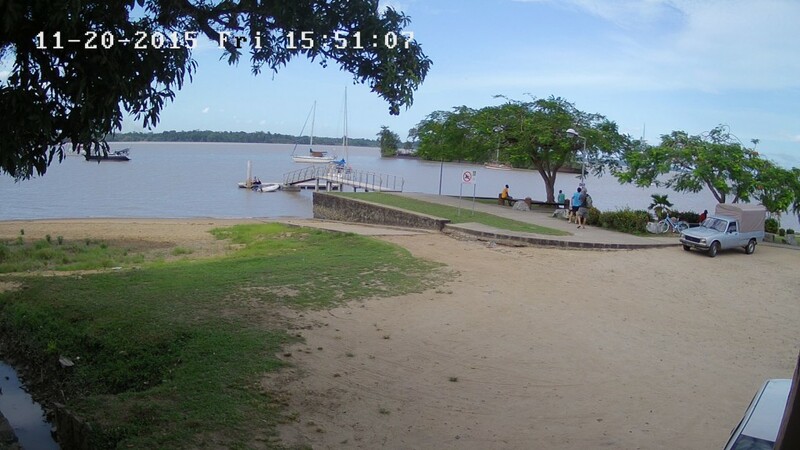 Yes it’s a live (or quasi-live) webcam of Saint Laurent du Maroni. Behold and be amazed… It’s even been described as MAGNIFICENT! A race to Saint Laurent du Maroni? 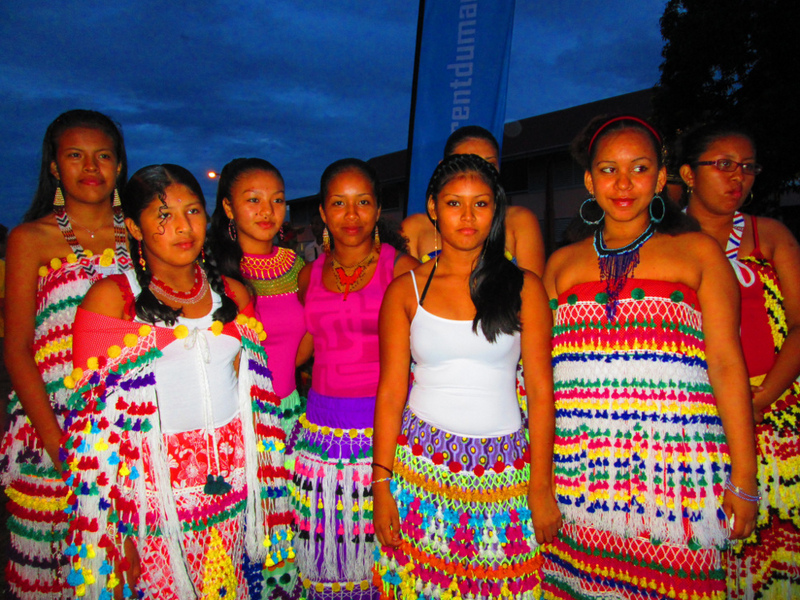 What followed was a real race to the Maroni River in French Guiana. I had been contacted by the tourism office of Saint Laurent (one of the rally sponsors), as they were organising a large public welcome for the yachts. Fine, but to do so, they needed our time of arrival to coincide with their preparations. Good grief! We agreed on trying for 18:00, three days after leaving Roiden Rust. With just 250 nautical miles to cover, the yachts needed to average only 83 miles a day to arrive in time. The winds were unfavourable and only one yacht (Virginia Dare) made the entrance of the Maroni River as predicted. A text message from the satellite phone on Lion King was sent to advise organisers of the delay, but apparently it was not received. My apologies to the whole town of Saint Laurent du Maroni, the Mairie, the kayak club, the tourist office, the fire brigade and the Gendarmerie, who had come out in force to welcome the yachts. We did the best we could. It should not be an issue next year as I am considering placing Internet linked tracking devices on all yachts. That should effectively take the guess work out of when the fleet is due! Despite arriving one day later than expected, our welcome was a hearty one nevertheless. A crowd of spectators and the media braved an unseasonal downpour to greet us as news spread of our arrival. As the sailors made their way ashore, they were treated to a show of traditional dance by Creole and Amerindian artists. Truly spectacular! After the obligatory media interviews and a showering of welcome gifts, the rally participants and spectators were offered drinks and a buffet that clearly satisfied even the hungriest of sailors. 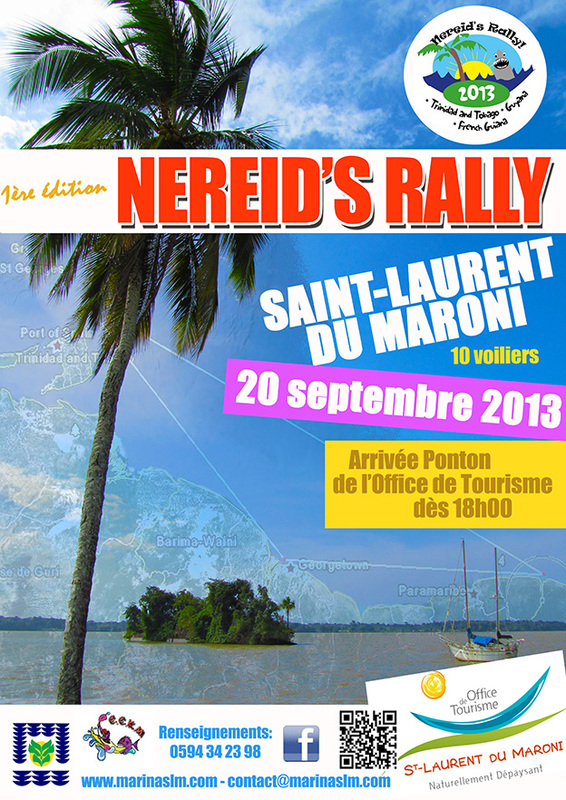 On behalf of the Nereid’s Rally, thank you Saint Laurent du Maroni. We have all been overwhelmed by your generous hospitality. How the race, that isn’t a race proceeded. The Tobago start wasn’t going to be a huge affair this year with just two boats (myself included) set to leave from Store Bay. Not that that stopped us from having a big send-off party. 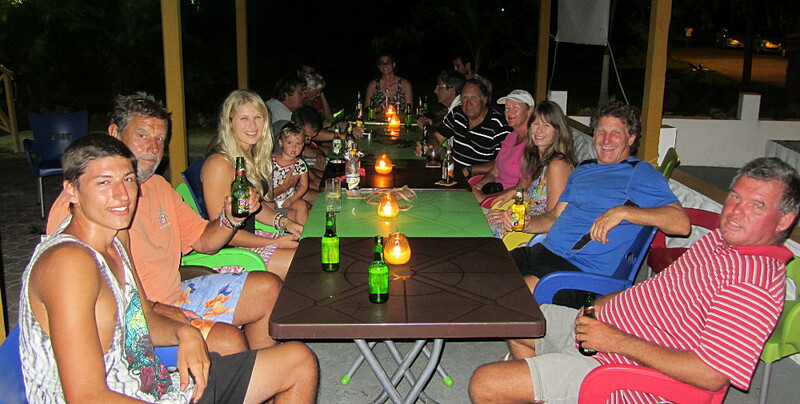 Everyone at the anchorage were invited for drinks at the Curve Bar in Crown Point to swap stories and boast about their navigational exploits. Fun was had by all. 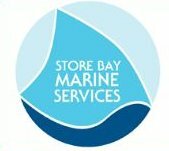 Thanks Katy and John of Store Bay Marine Services for hosting the event. Next year it will be bigger and better with a pig roast, music and crab races on the beach (BYO racing crab) set to make the Nereid’s Rally departure a local fête. Note that all yachts have the option to leave from Tobago but larger yachts will need to bunker elsewhere as fuel is DIY with jerry cans. 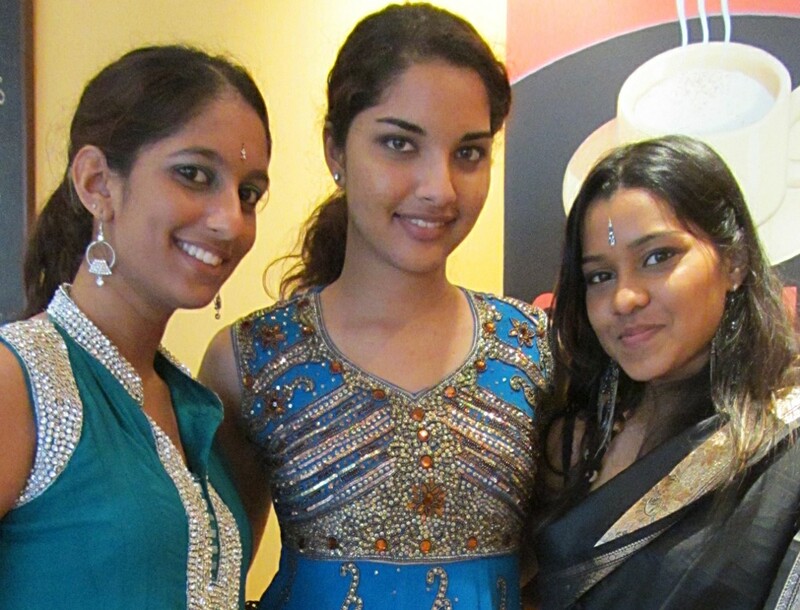 On my way to Guyana….. not…. Here, Romain on Whistler is posing for the start. Having already sailed once to French Guiana from the Caribbean he was supposed to make short shrift of this passage. However, his rally was over before it even really started. Whistler’s ageing mainsail was unexpectedly torn at the seams and so one of the favourites for completing the rally in record time was obliged to pull out to contemplate the purchasing of a sewing machine instead. A “did not finish” (DNF) for our Corsican contestant… But all is not lost for our French fans! He has vowed to be back and take part in next year’s event. Next we have Eileen of Avoca, the smallest member of the fleet, measuring just 23ft. While there is no doubt she will complete the rally, it’s going to take a lot more than good local knowledge to keep up with the 40+ footers! Spirited Lady, a Spirit 56 is a classic beauty! Her owner, Susie was the first to show interest in taking part in the 2013 Nereid’s Rally and we are all delighted to have her as part of this inaugural event. Lion King, a handsome Hanse 53 owned by Harry and Ans is a real contender for line honours. Despite the ubiquitous Disney association with the boats name there is no doubt that this yacht means business. The question is whether anyone will be able to keep up once Lion King stretches is legs? Kaisosi is the only catamaran in the fleet. 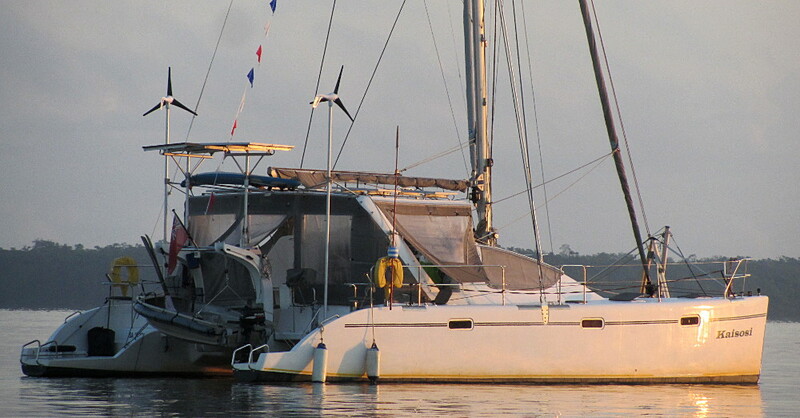 A lengthened Admiral 40. Her crew Terry and Annette have sailed these waters once before, having made their way to the Caribbean from South Africa via Brazil. Will the yacht perform in contrary winds? Virginia Dare, owned by Bob and Christine. An elegant Hallberg Rassy equipped with a 55HP Volvo. Contrary winds, contrary current? Not a problem! Delamara, A 39ft Moody. Single-handed by Joseph from Barbados will miss the rally start because of a faulty started motor. 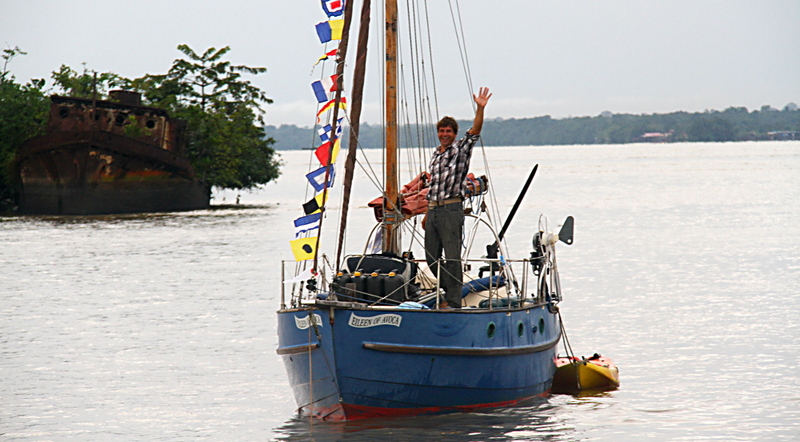 He intends to bypass Guyana and head directly for Saint Laurent du Maroni to catch up with the rest of the fleet. Mai VII, our only other French contestant, has pulled out of the Rally the day of the start citing mechanical issues. 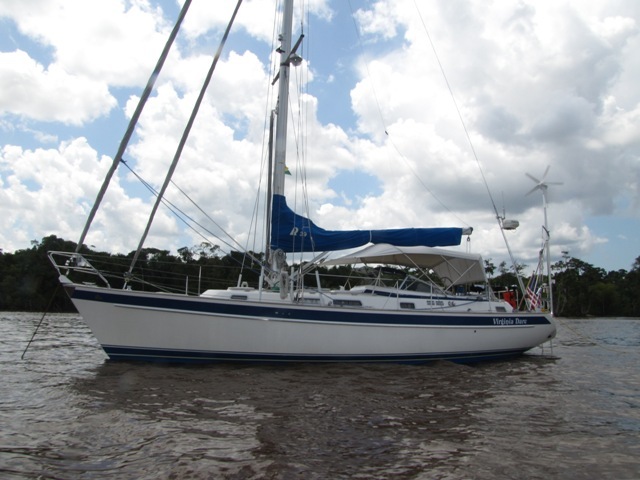 Restless, skippered by Ron, is waiting on a new mainsail in Grenada. We hope it will arrive in time so he can join the rally in French Guiana. It’s the rainy season, it’s hot, and I’m whiling away the hours of my free time fishing, swimming and playing tourist on the Mana River. 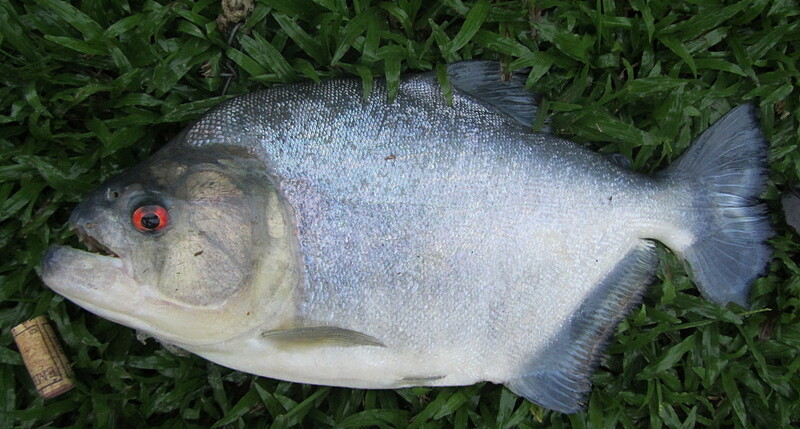 People often ask me if it is OK to swim in French Guiana. Nobody likes the look of the sediment filled water and it’s assumed the water quality is poor. Well, it isn’t, and I have the study (Water Quality) to prove it… But…. …what of the creatures hidden in the murky depths? Bathing in the Mana has been taken off my list of things to do, more-so after locals explained to me that I should be more concerned about anacondas than piranhas! 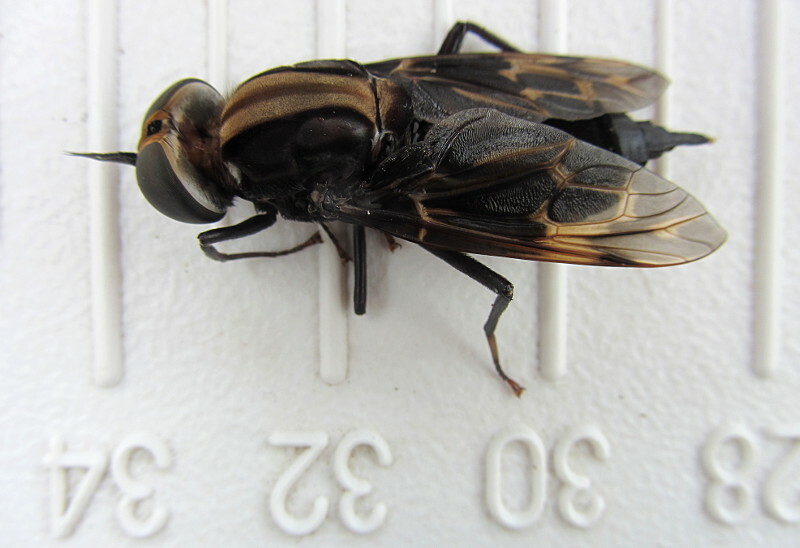 Given what passes for a harmless common house fly in these parts, I’m in full agreement…In future, I’ll stick to my occasional dips in the Maroni River where I’m more likely to come across a manatee than a monster. Don’t sail south in April! I was told that April is the worse time of year to sail from Trinidad and Tobago to French Guiana. Now that I’ve done just that, I concur. Not that I had much choice. My visa for Trinidad and Tobago was about to expire and I was well overdue for another visit to Saint Laurent du Maroni to follow up on marina developments. But, if you have the choice, take my advice and don’t do it. Of course those who know me are well aware that I don’t readily take advice, least of all my own, so I can’t honestly expect many to follow this recommendation. 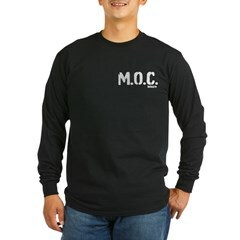 April and May is when the mythical contrary current becomes not so mythical, and while I did everything I could to find an easy way around it (including the sailors equivalent of ritual voodoo), my improvised flirtations with the occult proved futile. 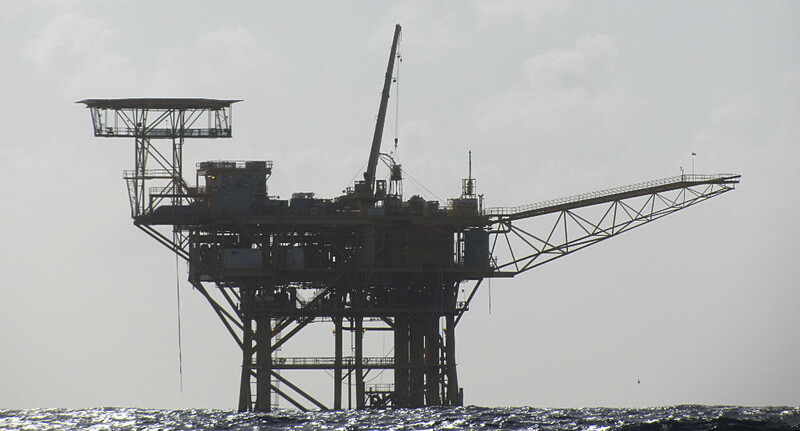 Let’s play dodge the oil rig…..
Perhaps the only way to escape the northerly flow this time of year is to is to hug the coast near the 5m depth contour. Much as I hate giving up easting, I’ll give it a try sometime, despite my healthy aversion to single handed sailing near the coast. When it’s bed time, I’ll thwart running aground by dropping anchor. It’s what the local fishermen do, and I have it on good authority, (Bernhard from Guyana), that the strategy works. Daily runs were often less than 40 nautical miles and as evidenced by the censored comments in my ship’s log, it was not much fun. Fortunately my little 10HP engine is in good running order and I’d stocked up on plenty of diesel in Tobago, because otherwise I’d probably still be at sea. Guess what this fisherman is about to do! 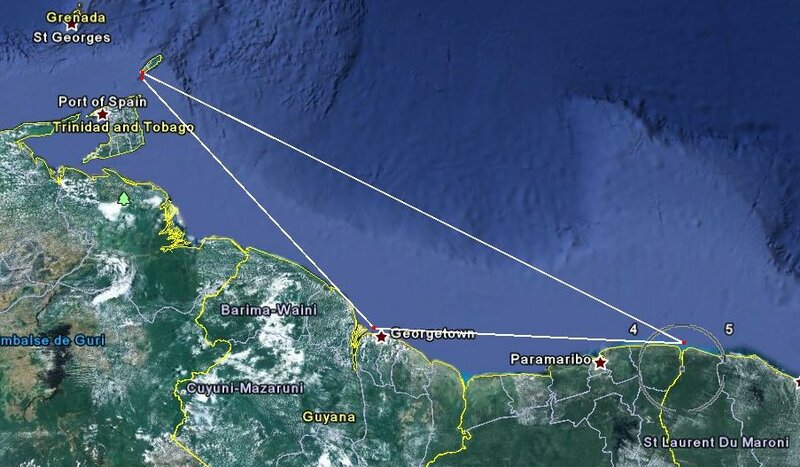 A warning to yachts approaching both Suriname and French Guiana. Do not trust the placement of navigational buoys! They are often dragged away from their position by fishermen who use them as anchors for their vessels and nets. 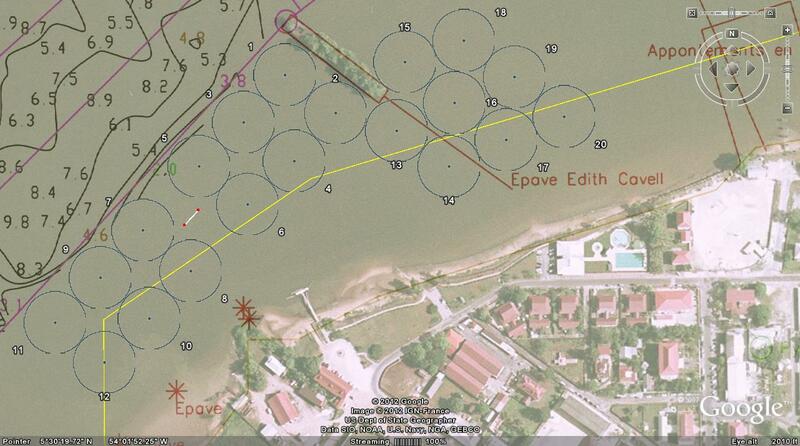 The official positioning of buoys marking the thoroughfare on the Maroni River is given here. It will be a considerably less exciting trip across the bar if you take note of the coordinates. On my way in to Saint Laurent, I did try and prevent one of the above mentioned culprits from inadvertently displacing one of the remaining buoys. With smiles all round they politely waited for me to sail by before ignoring my advice. The web site is up and yachtsmen can now register for this years Nereid’s Rally, sailing from both Trinidad and Tobago on to Guyana and French Guiana. 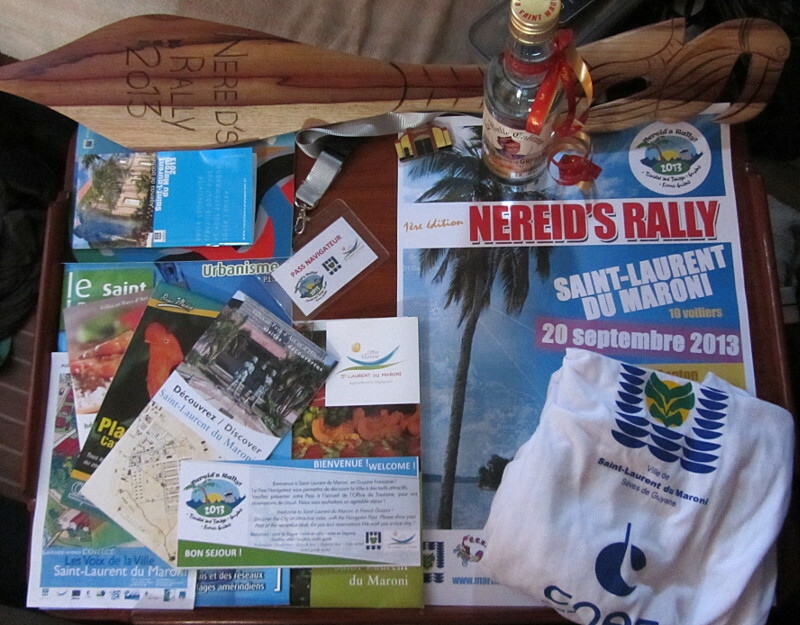 Why is it called the Nereid Rally? Because what better way to dispel the myths of sailing south from the Caribbean than to host a mythical themed event? It’s been a busy month…. Last we heard of our intrepid adventurer, he was anchored off Store Bay, in Tobago recounting tall tales of pirates to all and sundry. And while my daring and dastardly deeds had reached quasi herculean proportions, (by the fifteenth telling), it seems that the locals weren’t buying it any longer… More importantly they weren’t buying me my drinks either…. Oh well, it wasn’t a bad run while it lasted…. So… sullenly sipping aged rum on my yacht (am I allowed to call a 23 footer a yacht? 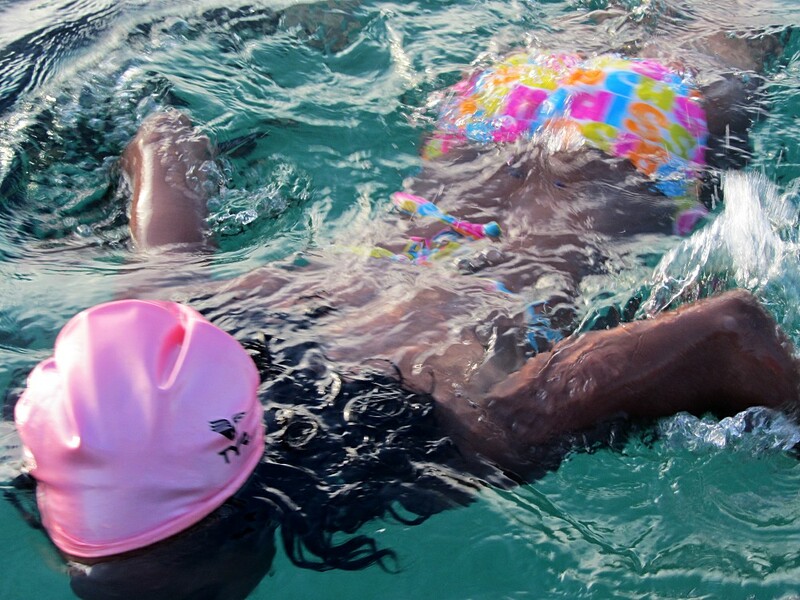 ), watching the occasional mermaid swim by, I set about planning my next smart and cunning move… (no laughing please)…. 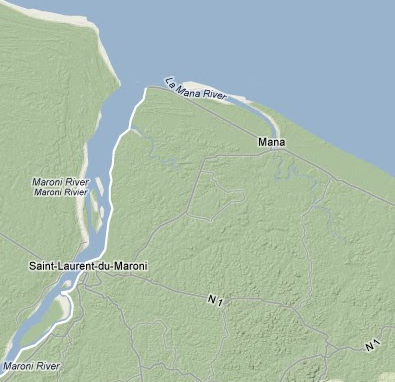 Back in French Guiana (land of the sloths), my marina development was not unexpectedly moving ahead at.. you guess it…. a sloths pace…. Fine…. Slow and steady wins the proverbial race as they say, and meanwhile there’s time for the number of visiting yachts to increase, though most are of the “northbound from Brazil” variety. How might I tempt those northern yachts to wander south? Simple, make the rally idea a reality. 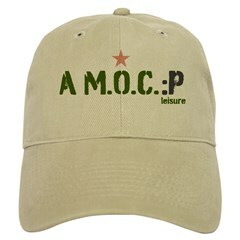 It was time to team up with others who could assist with organizing and publicizing the annual event. Queue Store Bay Marine Services in Tobago. They will provide support and host the sendoff for the less than 40ft yachts. 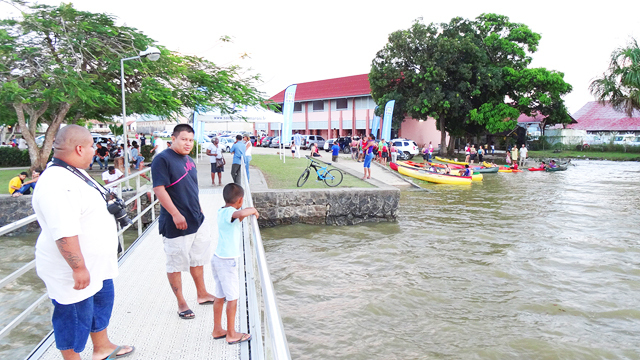 Larger yachts will leave one day later from Chaguaramas in Trinidad. Queue YSATT, Yacht Services Association of Trinidad & Tobago. First stop is Guyana, where the fleet will be hosted by Hurakabra River Resort and officially welcomed by the minister for tourism. The rally’s finishing line is, of course, Saint Laurent du Maroni in French Guiana, where another official welcome awaits and triggers a week of activities hosted by yours truly… aka Marina – Saint Laurent du Maroni. Now where was I….. Ah, yes, organizing a rally…. I tend to get distracted easily these days…. Rebel Lady comes to say hello! I want to talk about pirates… It’s bound to find me a willing audience and no sailor worth his salt (in yarn telling) is without a repertoire of at least three life threatening pirate encounters. I am admittedly somewhat inspired by a relatively recent report I’d read on noonsite. Riveting stuff, but I can’t help making comparisons with what I’ve encountered on a regular basis, both within and well outside the area indicated by the report. Fishing vessels have a habit of intercepting sailing yachts at sea. Sometimes its intentional, sometimes it’s not. Often it’s curiosity, but if you’ve ever seen how fishing vessels zigzag at sea, it’s really no surprise that they appear (at some stage or another), to be on a collision course. 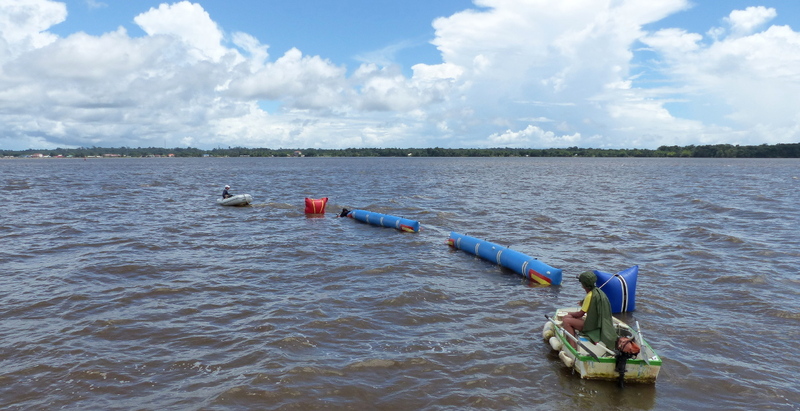 Off Suriname fishermen use flashing lights to mark their nets. Frustrating because you have no idea which way to pass them, but it’s certainly not peculiar. In these waters, vessels will momentarily shine a light (sometimes just a torch, sometimes their mobile phone) if they see another vessel close by. It’s how they let you know they are there… Their boats are not equipped with navigation lights or radar reflectors for that matter. Could they now be busy bringing in their nets? Is it just me or do others suspect that there has been a sudden quantum leap in irrational behavior here? 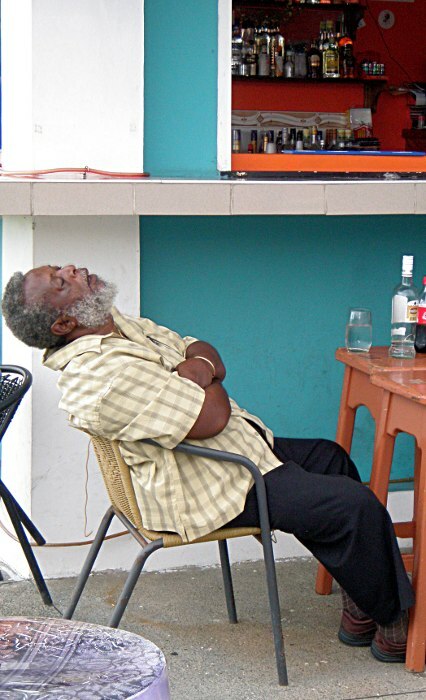 Let me digress now and tell the story of my latest 6 day trip to Tobago. On day five (the rest isn’t worth recounting), at 4am in the morning, I found myself in surprisingly similar circumstances. I’d seen the lights of several fishing vessels the previous evening and 100NM out from Venezuela, I found a vessel rapidly closing in on Eileen’s stern. When the boat was within a few cables it abruptly veered to port to… to… to…. That they did not respond to my calls on VHF is not so unusual. Even fellow yachtsmen with fancy HF and VHF equipment entertain the bizarre habit of keeping them switch off. Which takes us back to…. On my last day out from Tobago another fishing vessel approached Eileen on an “intercept” course. This time it was during daylight hours, so I was able to take a nice snapshot for the blog. When the boat was within a few cables, my VHF radio came to life (Note that I leave mine on despite the drain on the batteries). Tobago, French Guiana, Guyana Rally? How about an annual rally during the hurricane season? Killing time feeding the local strays obviously has its propitious side (look at all my new best friends), but I’m getting itchy feet. 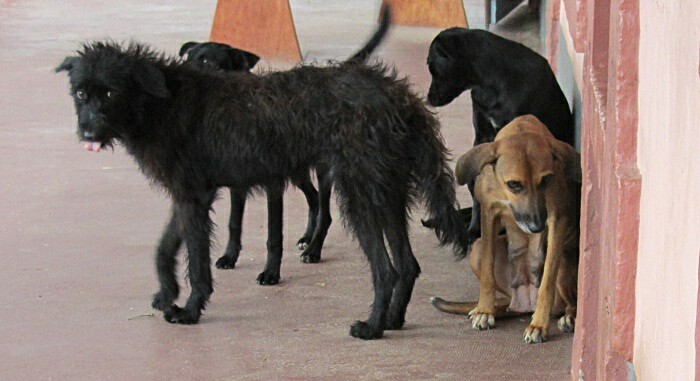 No I haven’t contracted canine Tinea Pedis, I’m talking about the wanderlust kind of itch. 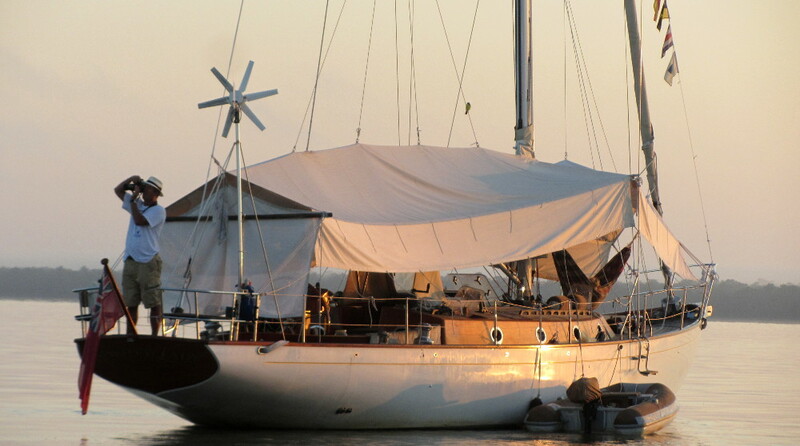 If I have a sailing boat… shouldn’t I be sailing?…. Mad dogs or a new rally? The trouble is we’re still in the middle of the hurricane season and sailing options become somewhat limited in the Caribbean during a hurricane… Key word here being hurricane.. 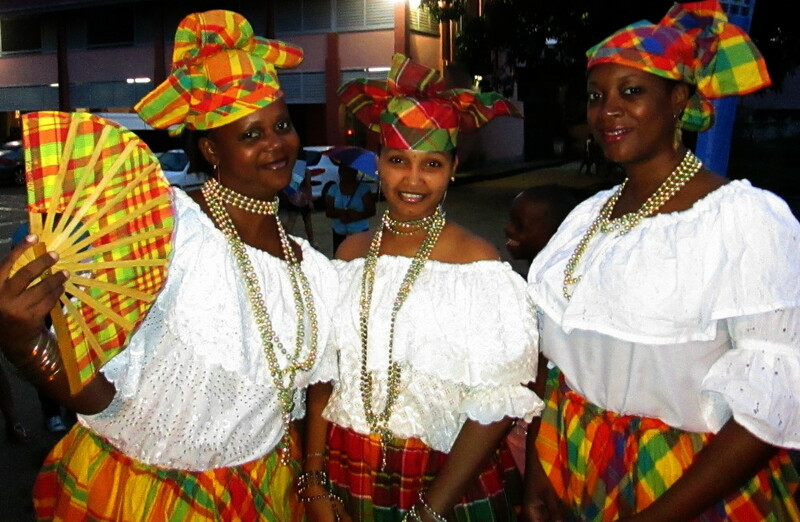 It is however an opportune time to visit Guyana, Tobago and French Guiana. So where is everyone? What do you think of this exciting idea? Apart from hiding from hurricanes, I suspect they are working hard doing boat maintenance in Trinidad. Register now for the new annual Tobago, Guyana, Saint Laurent rally! I’m so keen on this idea, I’m sailing north to tell everyone about it.